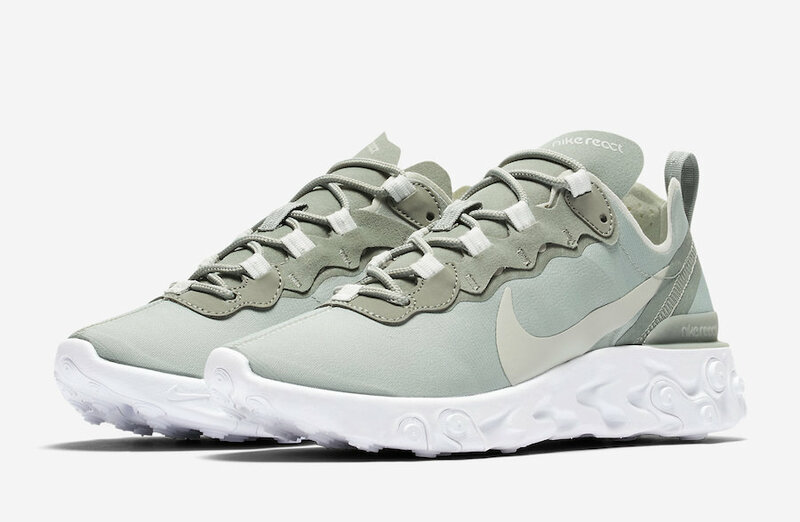 Following the announcement of our own exclusive version of Nike’s React Element 55, a trio of colour-blocked releases are due to release in the coming weeks. 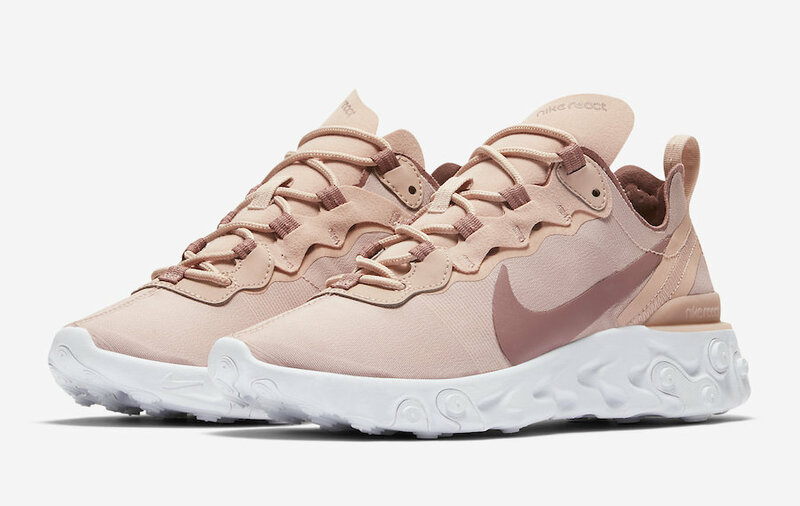 Sitting alongside the React Element 87, the 55 swaps translucent uppers for opaque panels, which in turn, creates a more lifestyle-orientated model. The progressive runner also boasts the highly responsive REACT foam midsole. This technology – which was originally launched in basketball Nike’s basketball category in 2017 – delivers 13% more energy-return than some of the brands other cushioning innovations. The inspiration behind the 55’s deconstructed aesthetic came from drilling holes in the foam of the sole unit, in the aim of greater levels of comfort while standing, walking, shifting and sprinting. These trials allowed designers to determine which hole depth and densities accomplished their comfort. The designers then applied the abstract outsole to a retro Internationalist-inspired upper, constructed from 100% TPE textile yarn, that would complete the React Elements’ translucent look, and in-turn creating a truly modern silhouette. 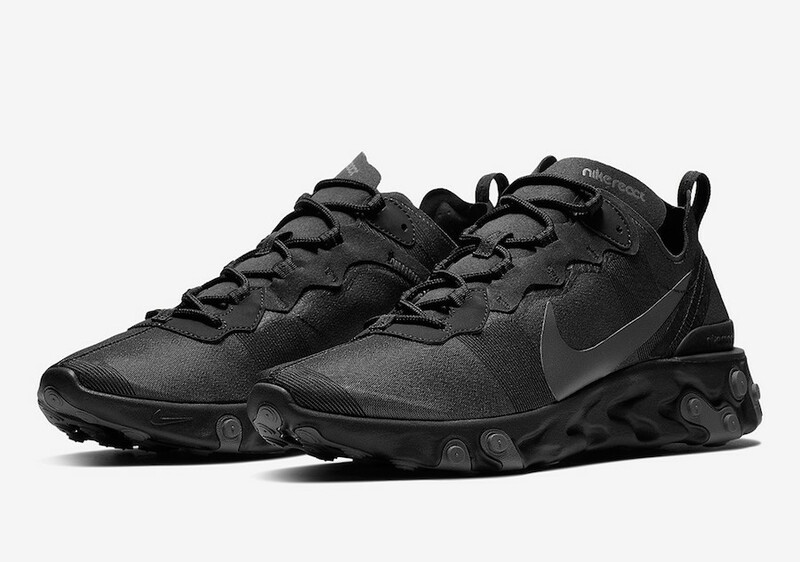 Keep an eye out for all releases of Nike’s React Element 55, arriving via the size? Previews App and in size? stores on Friday 1st December, and priced at £115.